Time for a another small dev diary for showing you the work that i have done for the alpha 18 version ! 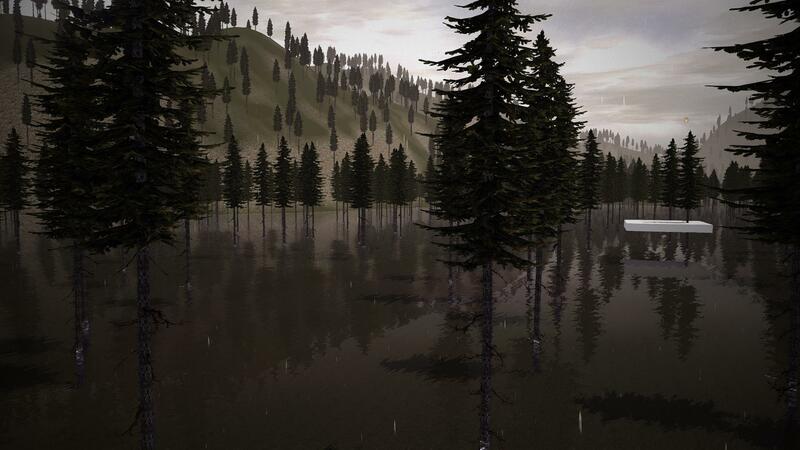 I have finished the new static water shader that include realtime reflections. Like a lot of things, water rendering performance has been improved. Finally ! Rain is coming in Dangerous Rays. Rain simulation is quite complex in Dangerous Rays alpha 18. Each rain drop is simulated independently (with almost no performance impact) so in the future the rain will be able to fall on player and making his clothing wet. So you will need to try to find some shelter if it's raining too much. Rain will be shown in a future video before the alpha 18 release. Things are moving more and more quickly now as the end of the year is coming. Stay tuned for more dev diary soon ! Fabulous Work OldSnake, Thank you again for the update! Thank you, your comments are really appreciated. Nice work! I hope in the future there will be new biomes (desert, winter, etc).